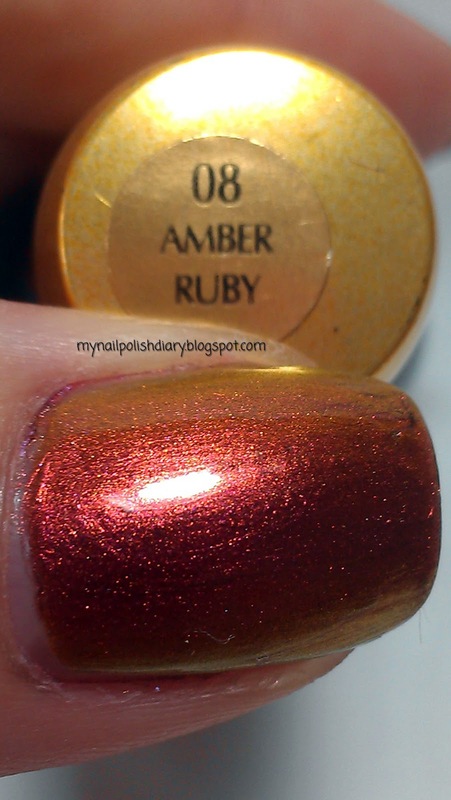 Sally Hansen Amber Ruby is a multi chrome oldie but goodie. 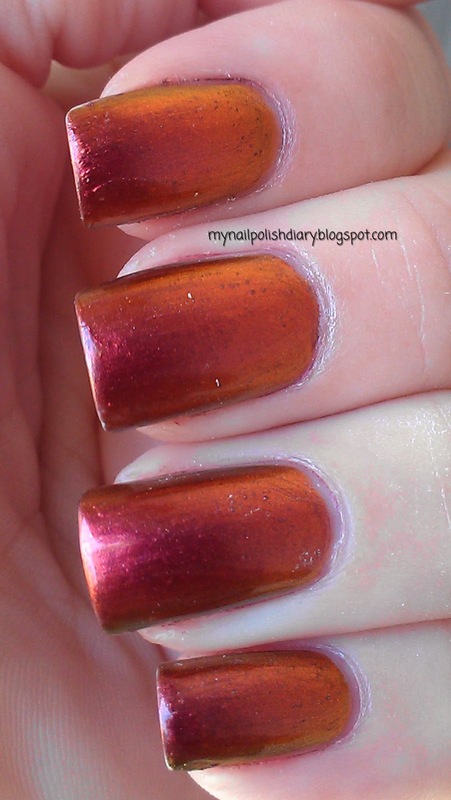 Sally Hansen Amber Ruby is a nice color. I don't think it's necessarily flattering on my skin tone, which is odd due to the color flashes it gives, but it was just okay for my taste. It flashes red/orange/gold/green. I wasn't able to capture the green at all. I did see it while wearing it, but never when I was able to get a picture. It's very unique in my collection, but not one I'll be wearing again any time soon. Which bums me out because I was so excited when I found it. Oh well, first world problems, right? Hi Liesl! I'd say I'm back for a while, at least :P Hopefully for good. I got discouraged by some snarky emails I was getting. 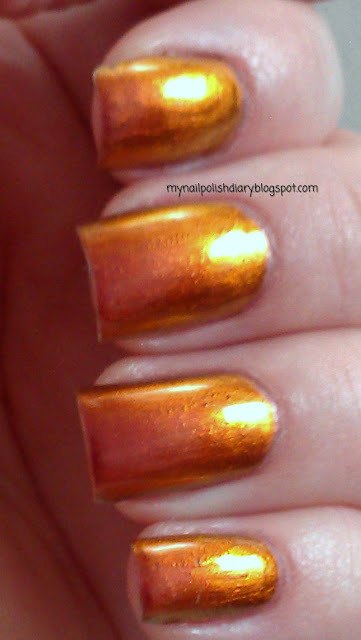 I've said from the start this blog is for nothing other than a picture album of my lovely polishes. I just want to have pictures and record my manis. 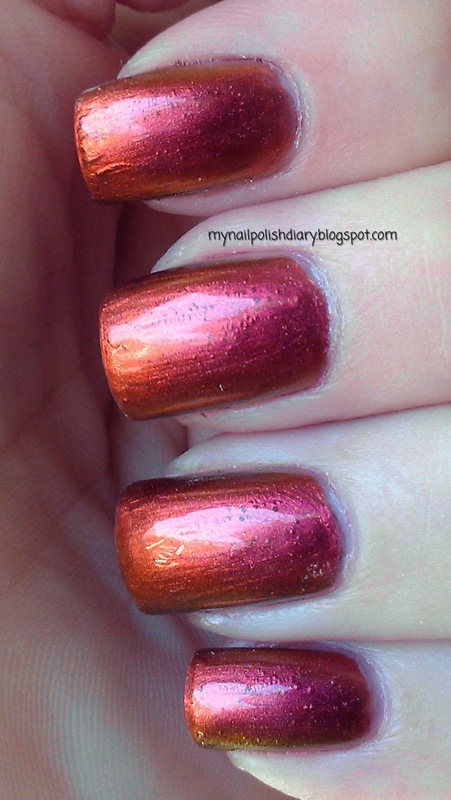 Someone thought maybe I should 1. stop bragging about my htf polishes and 2 get better nails. What the heck? I don't feel like I brag at all? I do go on about some of my polish because I love how it look so much, but I don't think that's bragging? And, God gave me these nails they're all I can wear lol. But it hurt me and I decided to quit. Last week I changed my mind and decided no one is gonna take my fun and my joy away. If it continues, I will just delete the email without reading it. (I hope I'm able to do that). Thanks for looking and thank you for always being so sweet. I honestly appreciate you for that <3 You are awesome! Sorry I got so personal, but hey, it's my blog I can do what I want! Right?! ?